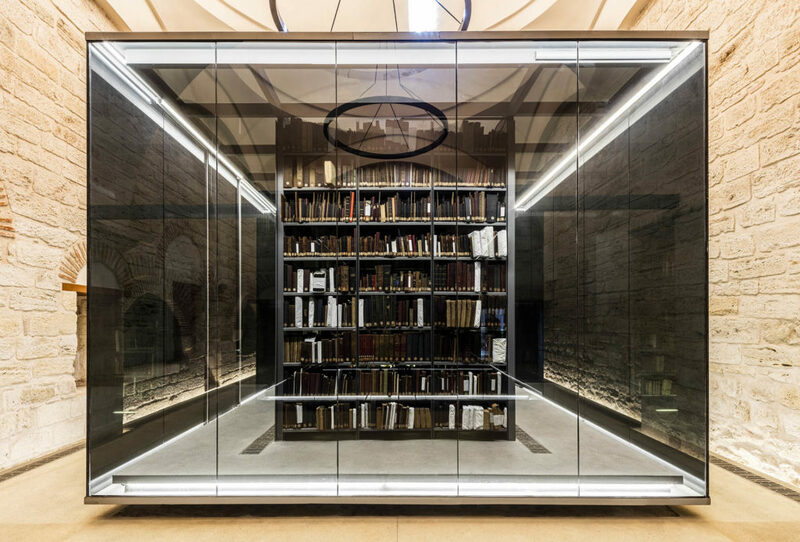 Tabanlıoğlu Architects embarked on the restoration works of one of Istanbul’s most prominent libraries, the Beyazit Public Library, known for its rare books and manuscript collection. 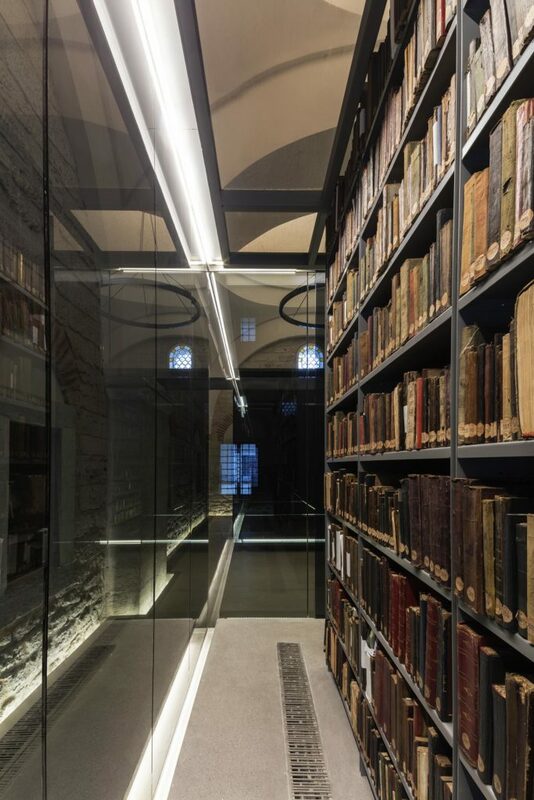 Adjacent to Beyazit Mosque, the library is located in the Beyazit Square that is connected to the spine of the historical peninsula, Divanyolu, and is one of the most vibrant spaces in the old part of the city. 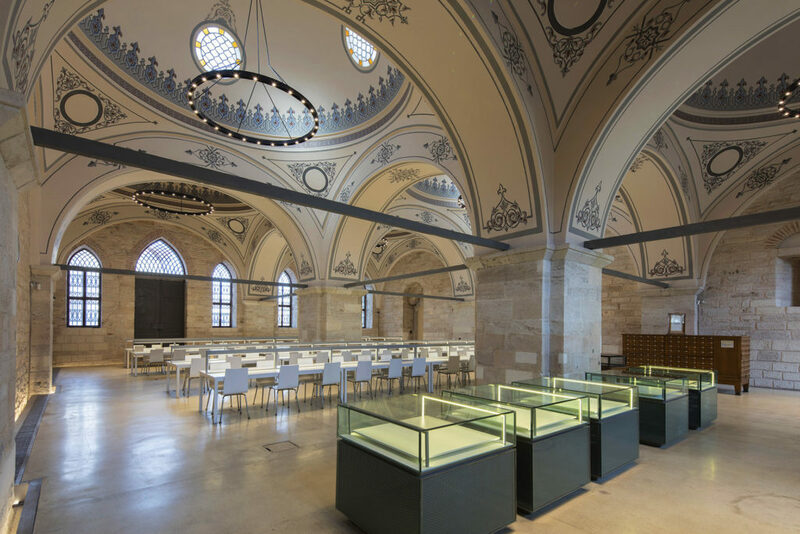 First founded in 1884, the State Library building was originally the soup kitchen and caravanserai of a complex that included a kitchen, a primary school, a hospital, a madrasa and a hammam. 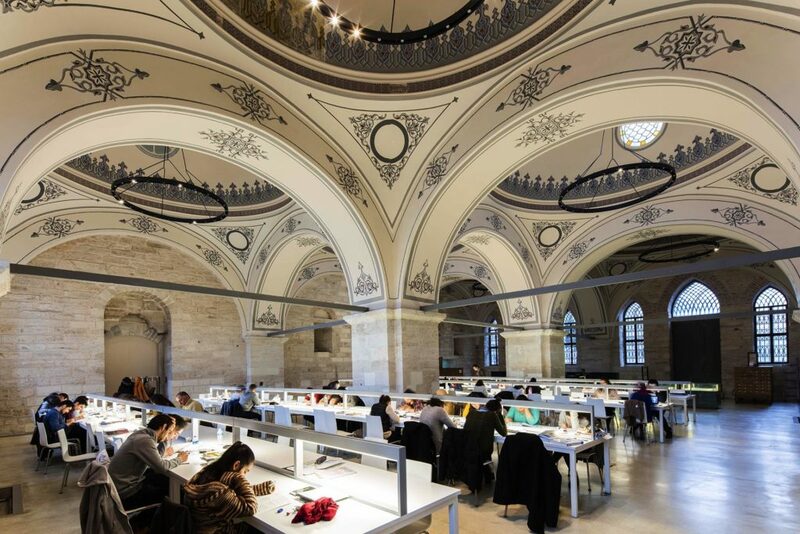 The quarter, where the State Library sits, is infused with historical connections of a literary nature, such as the old book bazaar (bouquiniste) that is set in a courtyard leading to Beyazit Gate, one of the main entrances of the Grand Bazaar. 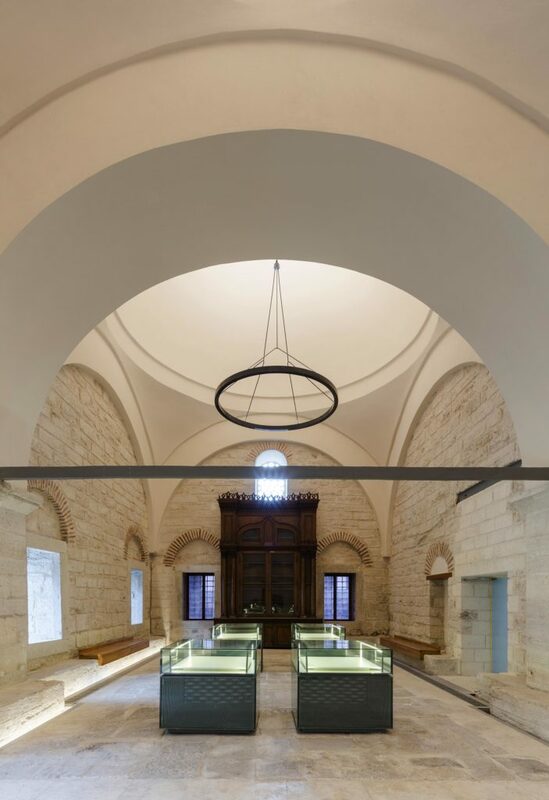 The project embraced a ‘minimal intervention’ approach, ensuring the spirit of the place survives, while modern facilities are grafted onto the historic fabric.The renovation of the State Library involved sensitive reorganisation of the interior and careful restoration of the building fabric with its prominent multi-domed roof. 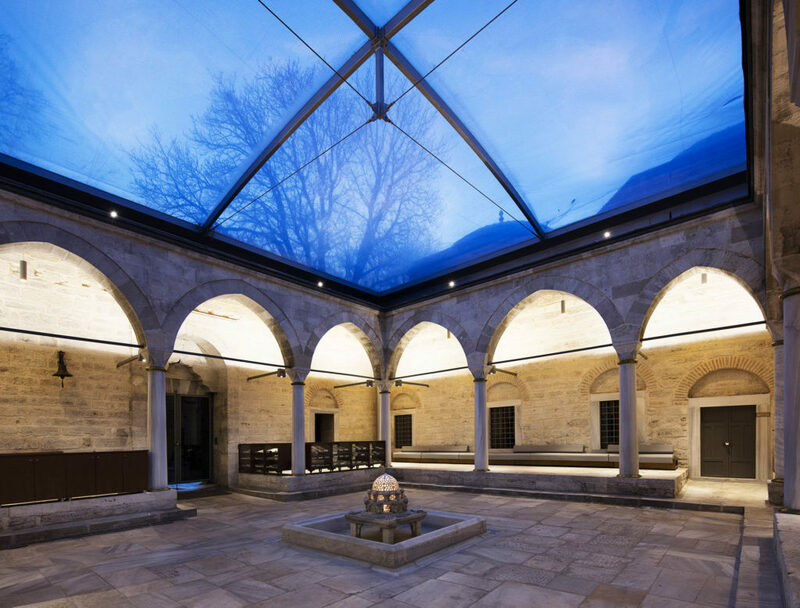 In place of the former concrete roof, Tabanlioglu Architects installed a light and transparent inflatable membrane structure that covers the courtyard, filtering daylight and providing a controlled atmosphere. 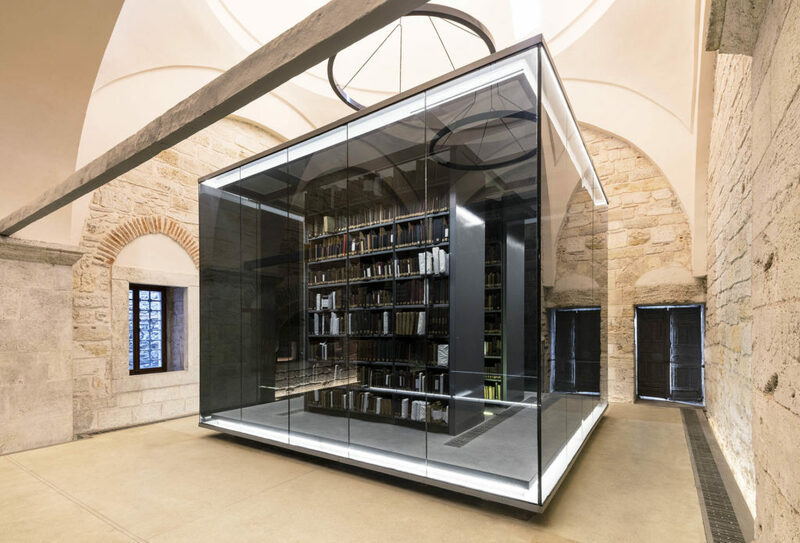 In the renovated shell of the building, black glass boxes devoted to the manuscripts stand as monolithic objects of awe, that are in stark contrast to their surroundings. 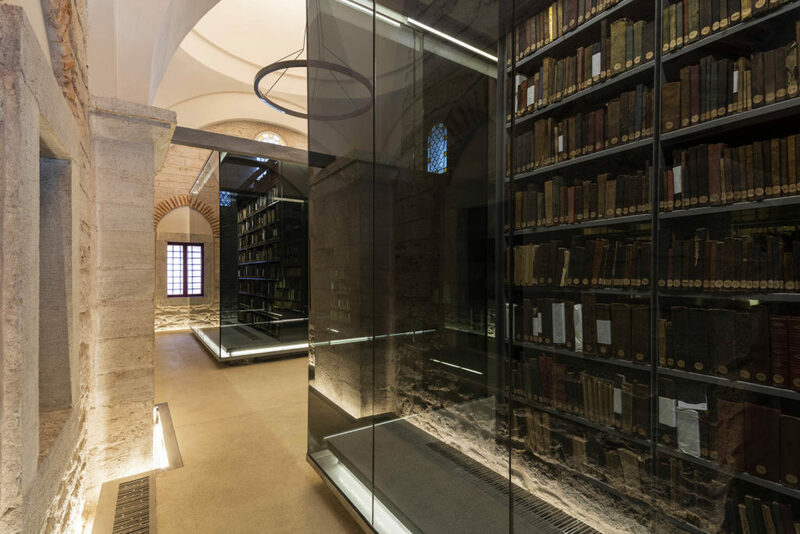 Lighting design by Studio Dinnebier echoes the spatial and historical qualities of the complex. 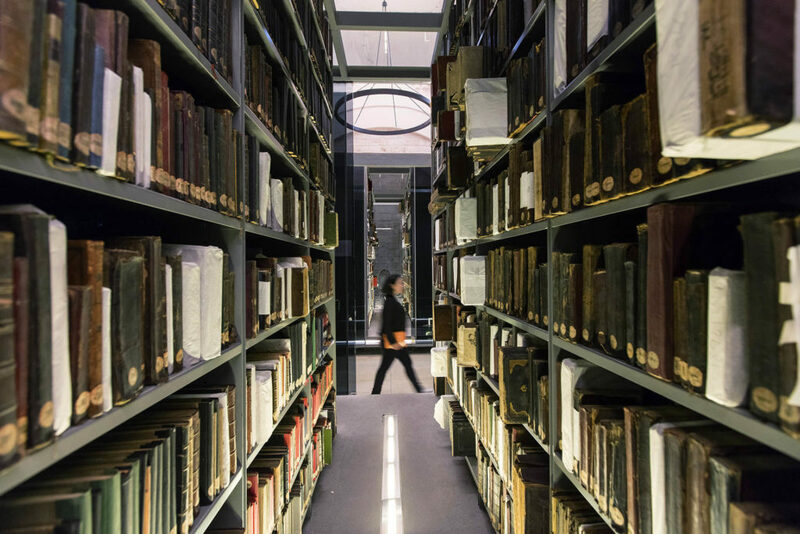 Soft lighting at the edges of the raised floor follows the wall contours, introducing another layer of depth to the spaces.